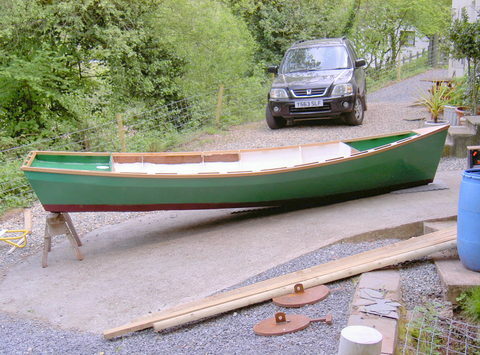 The excitement is rising at Intheboatshed.net Towers as launch day approaches for Brian King’s low-powered Barton skiff made from free boat plans available from this website. 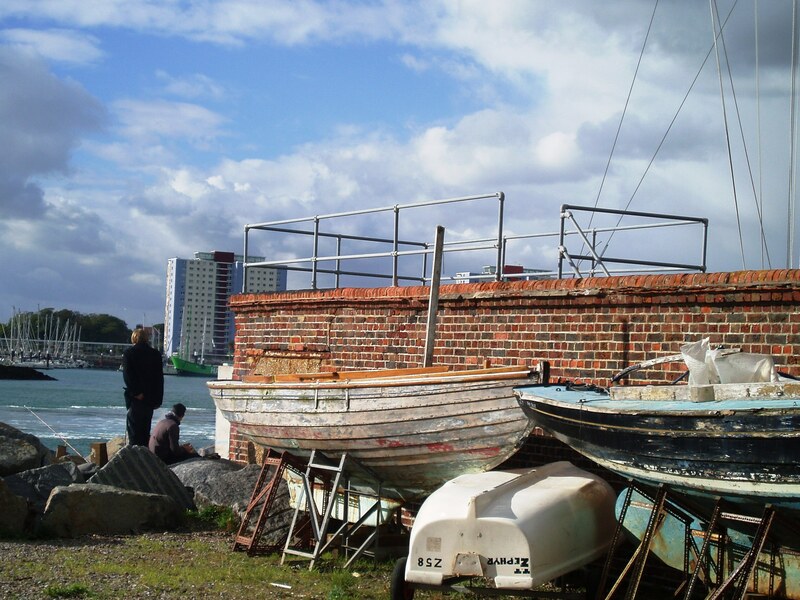 My thanks go to Brian for permission to publish his photos. 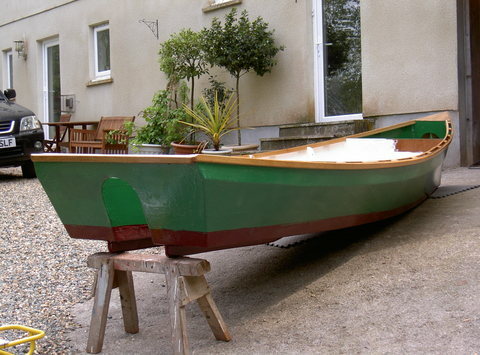 He plans to use his homebuilt boat for exploring the large natural harbour of Milford Haven. Naturally, I’m delighted and particularly pleased to see that once translated from the drawings into three-dimensions the little boat looks like it means business. 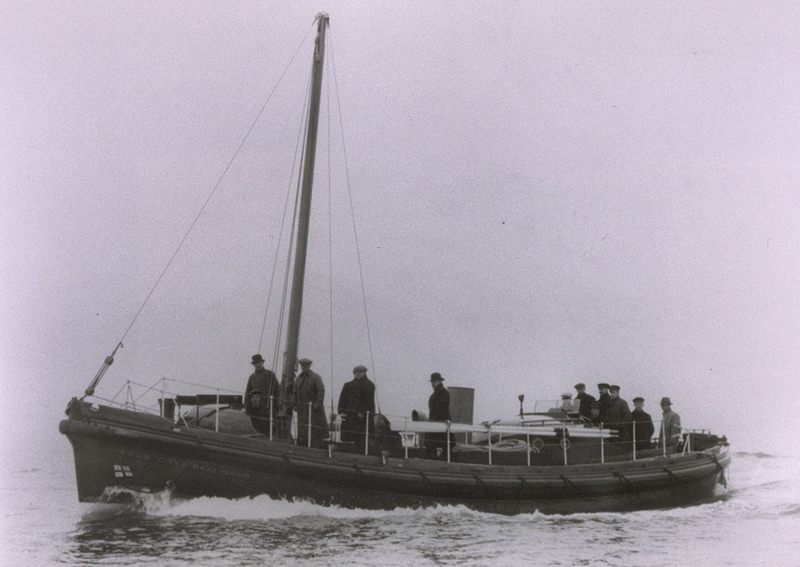 It has a highish, bouyant prow to turn back waves; a little tumblehome to make the water accessible to someone in the boat without having to lean too far out for comfort; and a seating and outboard arrangement intended to make the boat sit well on the water when it’s loaded light with only one person and the outboard. 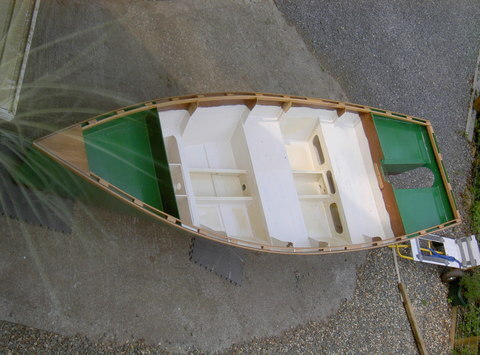 From the builder’s perspective, it also has a central girder construction to ensure the boat comes out the right shape, and which also lends rigidity. 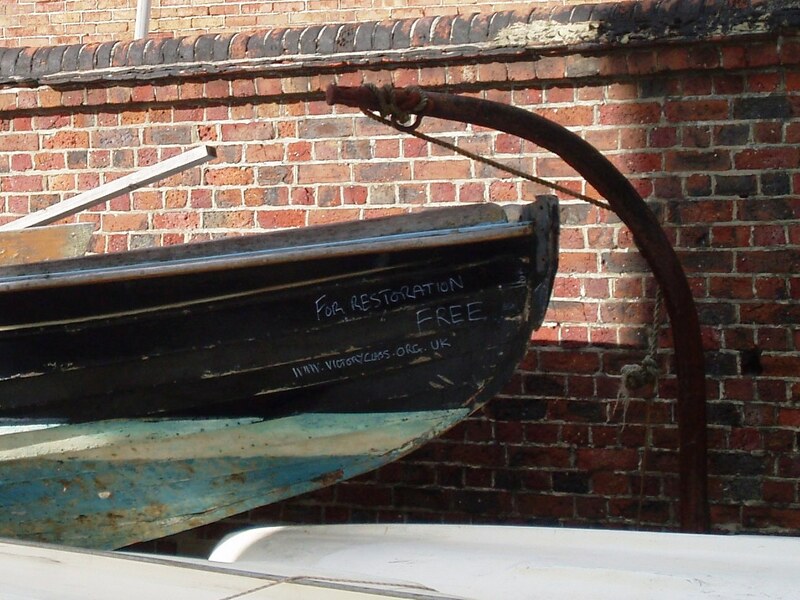 For more on this boat, see earlier posts. 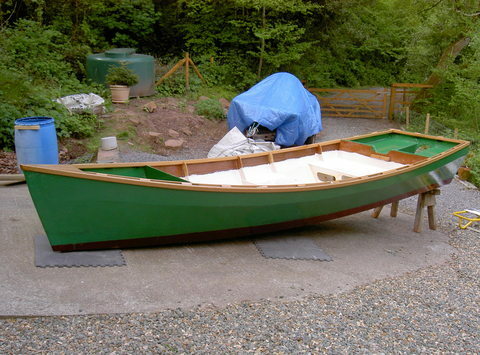 For more plans, see the free boat plans page. 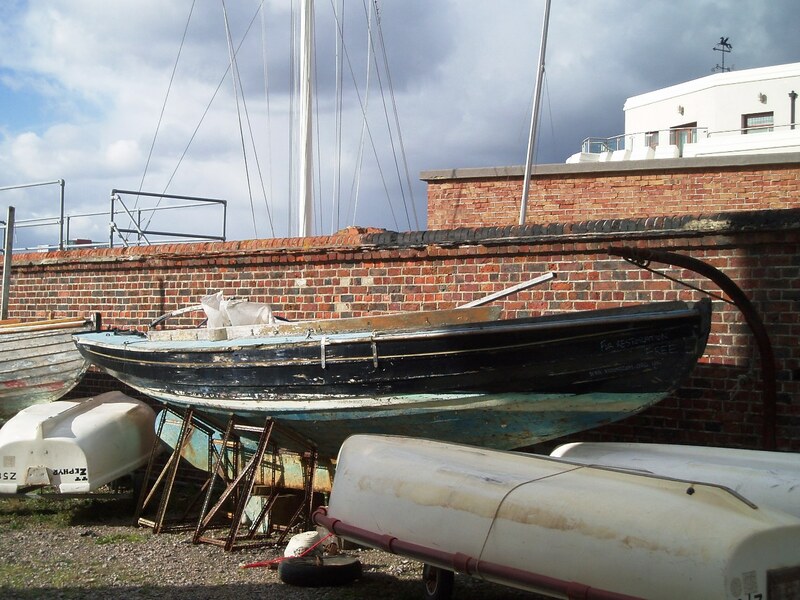 This super little Victory Class keelboat ideal for racing and daysailing is available for restoration – and from the class website it seems there may be one or two others available on a similar basis.